For a very limited time, as in it ends tomorrow at midnight, Amazon is hosting a deal through the Amazon Appstore, giving away $100 worth of free Android apps. 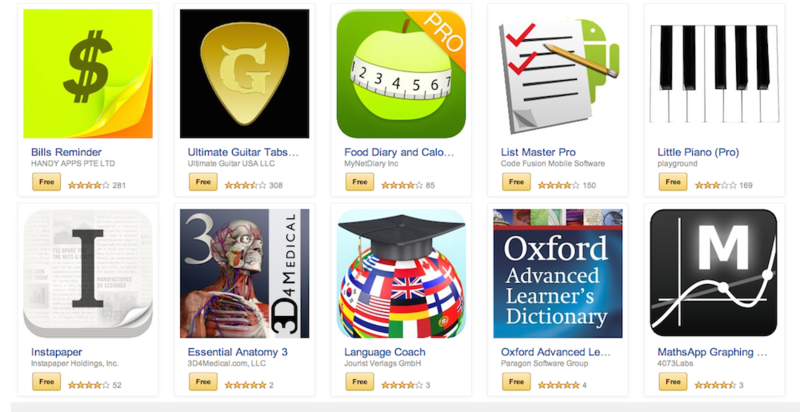 Fantastically, not all of the apps are a complete waste of time, as there are quite a few popular titles among the bunch which are being given away. For gamers, you can grab Sonic & SEGA All Star Racing, To-Fu Fury, and Carcassonne all for free. As for utility and other variously categorized apps, there are a ton. There is Instapaper, Essential Anatomy 3, KAYAK Pro, Flightradar24 Pro, Ultimate Guitar Tabs, and a ton more all for free. Usually I don’t frequent the Amazon Appstore, but for these deals, I might just have to go in and check it out. Grab your free apps by following the link below. Samsung Will Soon Unveil a Phone With "New Materials"